Blue Sunday - Sunday October 2nd from 7.30 am to 3.30 pm Updated! Taking the lead from the team of dedicated enthusiasts at Ford that created the Falcon Sprints, a small group of fellow Ford Forum members and Falcon Enthusiasts have been planning for several months a Falcon Tribute Finale event for Sunday 2nd October. Released: 2016 Falcon Sprint details. 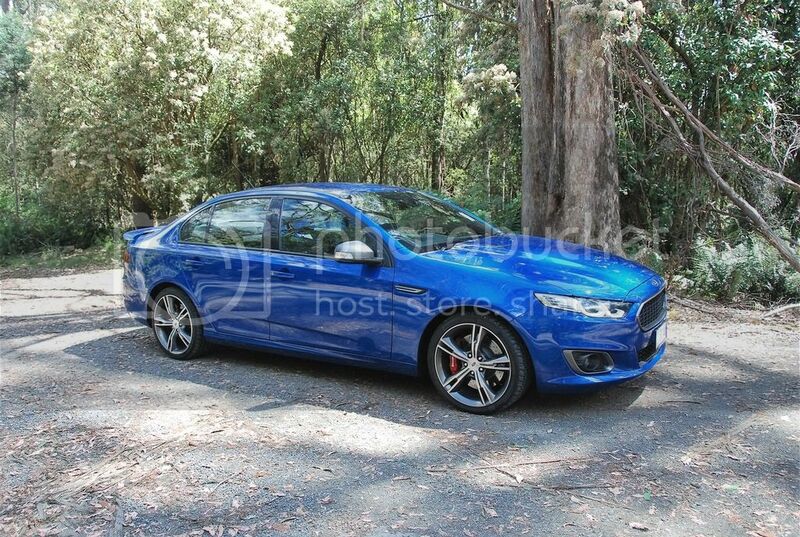 2015/16 Fg X XR8 Review. 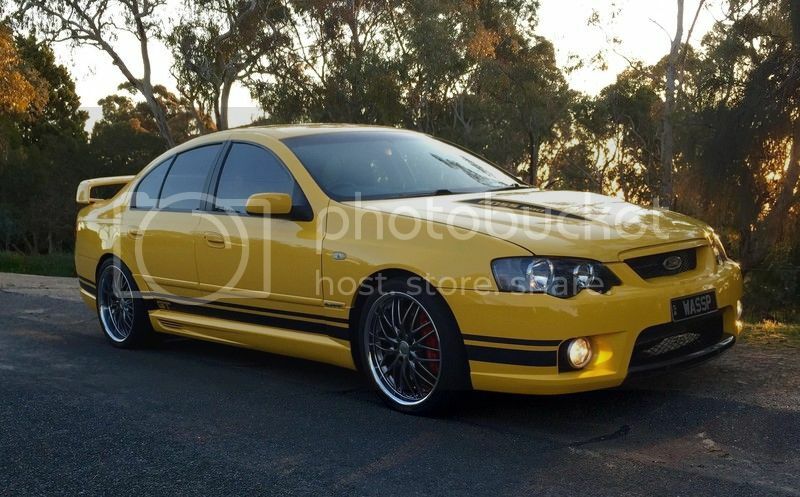 The 2015/16 FG X XR8 is a special car in most Australian Ford enthusiasts minds. It's the hero car of the FG X range and it is largely so because of what is under the skin. This is a GT by another name and not just any GT but the Rspec version. The term Rspec refers to the suspension fitted which first saw service in the limited edition Rspec GT before being the suspension of choice for the last GT in the GTF. An Rspec GT still holds the *quickest media time recorded over the quarter mile for a Falcon and with this engine tune too. This is a very formidable package on paper and that turns to compelling when you take into account the price. More on that later. Cars are many things to many people. A means to an end for some, objects of passion for others. They can be logical in being fit for purpose or emotional in being a statement or extension of one's self. As they say, "one is either a car person or one is not"
I consider myself a car person, a trait that was inherited from my father, but largely influenced by my earliest awareness of the family Ford Falcon which came at the age of 5 or 6. The family wagon became more than just a mode of transport but a meaning to me. It helped obviously that it was dads pride and joy but from my seat behind dad, that was my place in the world. I aligned with my father, I saw the road pretty much as he saw it. Our 1970 XY wagon, it never let us down and it made me feel safe. When I was in that car, I felt everything was right in the world, it's the car that started my Ford journey. The MD Mondeo is rated as a 5 star ANCAP performer and comes with features and technology that includes the standard fitment of inflatable rear seatbelts in all variants, previously only available in the Mercedes S class. Ford’s Emergency Assist that dials 000 automatically in a bad accident when connected to your phone and it even has a programmable MyKey that allows you to limit the car’s parameters. You still get ABS/ DSC and the airbag count is high. Front, rear, side, curtain, knee , the totality here really is a quantum leap above where we have been with falcon and it's in the main something consumers look for now above most other features. I expected it to be good but it was far more than that. We had camped overnight in the winery district and in the morning there were a gaggle of XR8s, XR6Ts and G6ETs sitting there waiting to be played with. My co-driver Nick (Falcon Coupe from AFF) did a runner and grabbed one of the new gold XR8s in manual before any of the journos had a chance. 2019 supercars discussion. May contain spoilers.